Former pitcher Tug McGraw was in his fifth season with the Philadelphia Phillies in 1979 and as a reliever was able to get seven plate appearances, going 1-6. 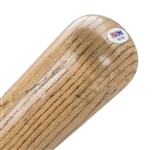 McGraw used this Adirondack 332B model bat during the 1979 season. 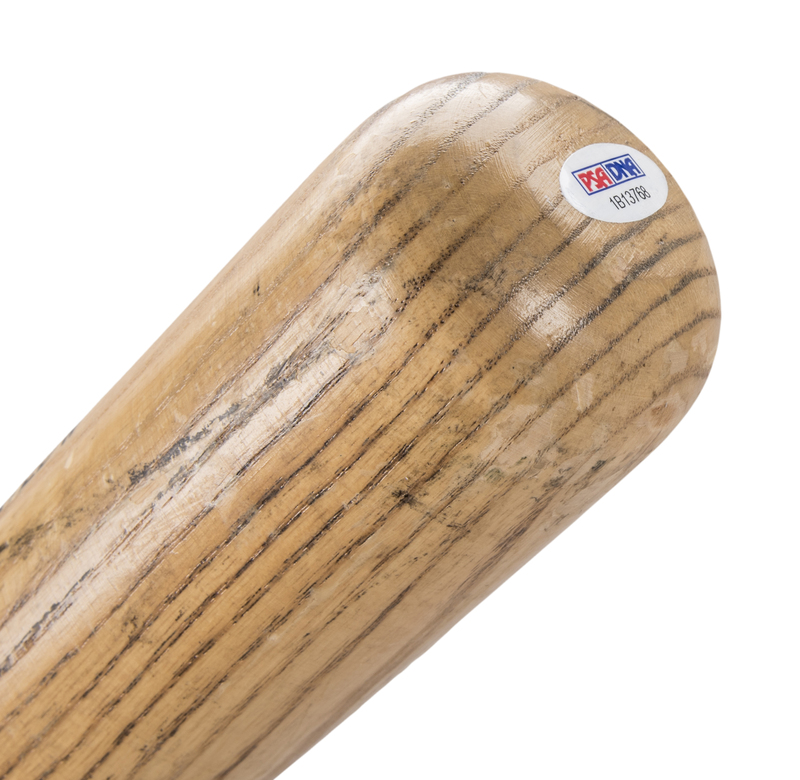 As would be expected from a relief pitcher, this bat displays light game use and is un-cracked. 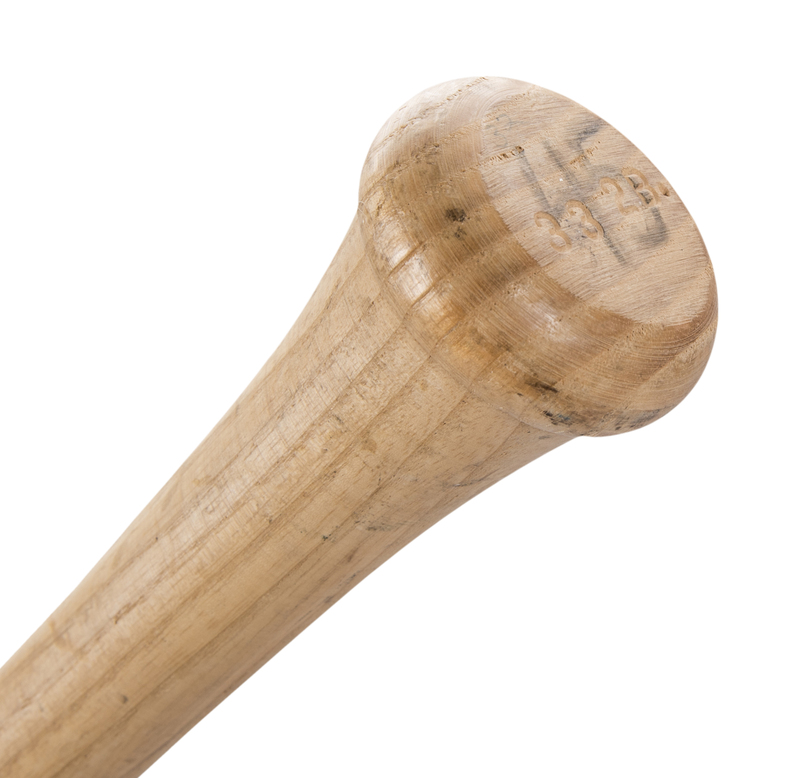 There are some marks on the barrel, including black bat rack streaks. McGraw’s number “45” is hand written on the knob in black marker. 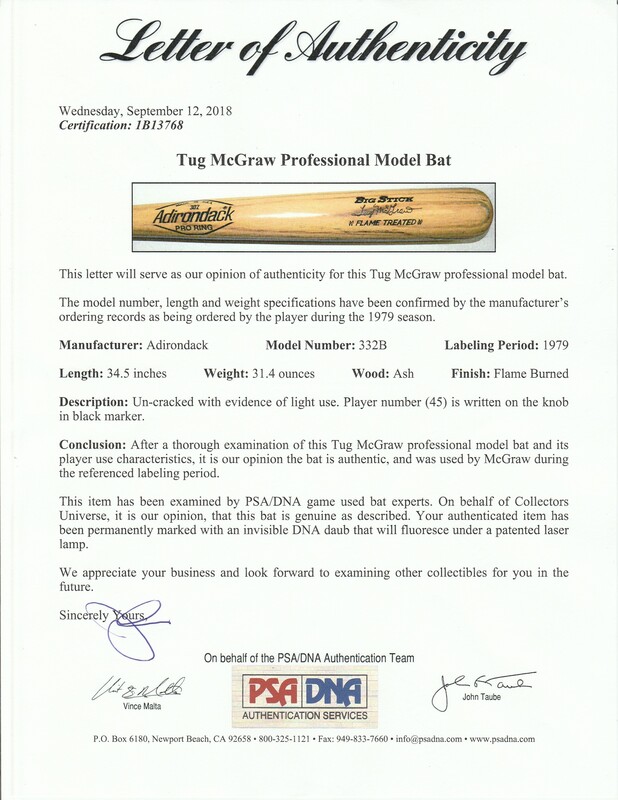 This bat comes with a LOA from PSA/DNA (1B13768) for the game use.